SIZE: Construction in India has been varied in terms of the sizes of the apartments that are being built. There are some houses that have large rooms. However, some of the budget housing that is coming up does not have enough room for large fans. In that case, you cannot buy ceiling fans. 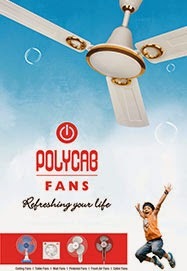 You will need to consider pedestal fans for yourself. If you have some place, though, ceiling fans can be more comfortable. DESIGN: High speed fans in India are now designer too. These can match the design of the room. If you have a kids’ room, you can find fans that can match the requirement. Therefore, you need to keep that in mind at the time of taking that decision.